Clean the intake manifold-(1) matingsurfaces.Inspect the intake manifold for damage.Inspect the intake manifold for cracks near metallicinserts.Clean and inspect the intake manifoldinsulator-(2) for damage. 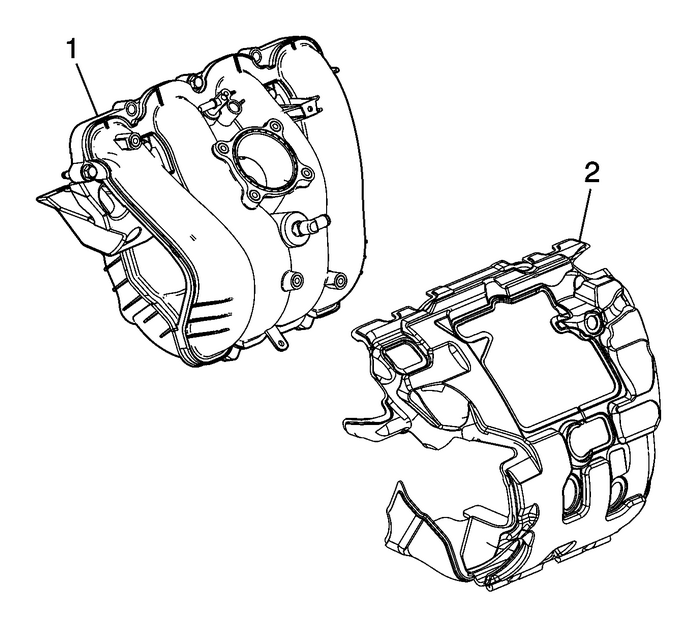 Inspect the crankcase ventilation passages-(1) inthe intake manifold face for blockage. Clean the crankcase ventilation passages with compressed airif necessary. 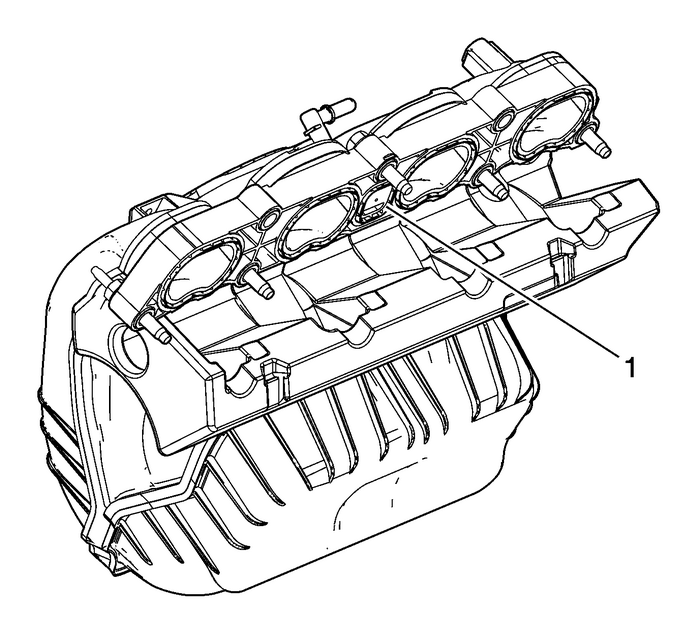 Use a maximum of 172-kPa(25-psi) of air pressure.Replace the intake manifold as necessary.